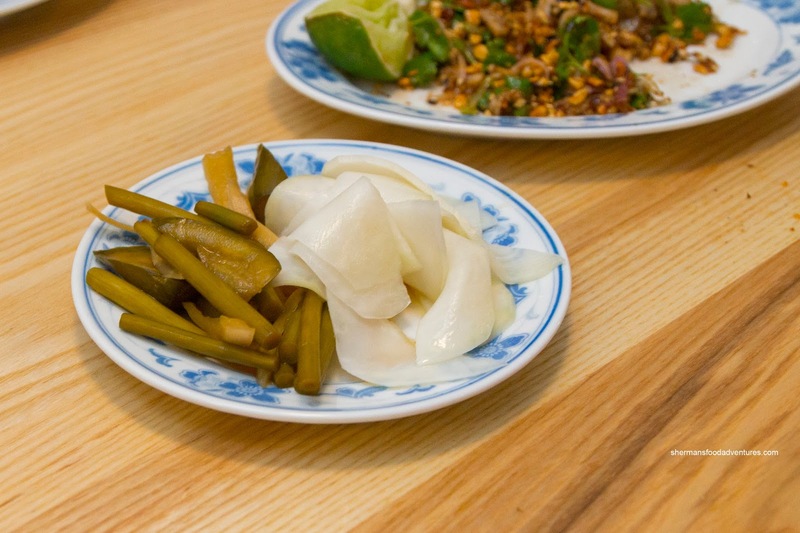 With the gradual gentrification of Chinatown, we've seen many non-Asian businesses set up shop where vendors once used to hawk Chinese medicine and fresh veggies. However, we've also seen modern Asian eateries pop up as well including the likes of Bao Bei and Sai Woo. 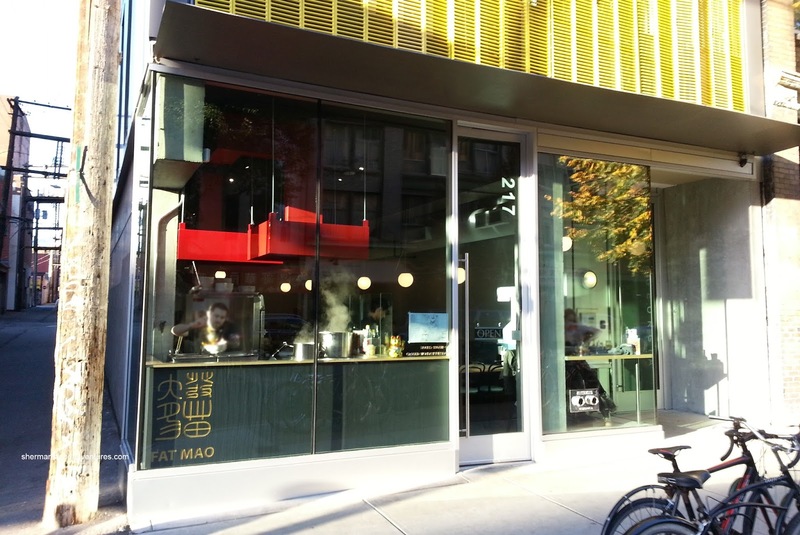 The latest to join the fray is Fat Mao Noodles - the brainchild of Angus An of Maenam fame. 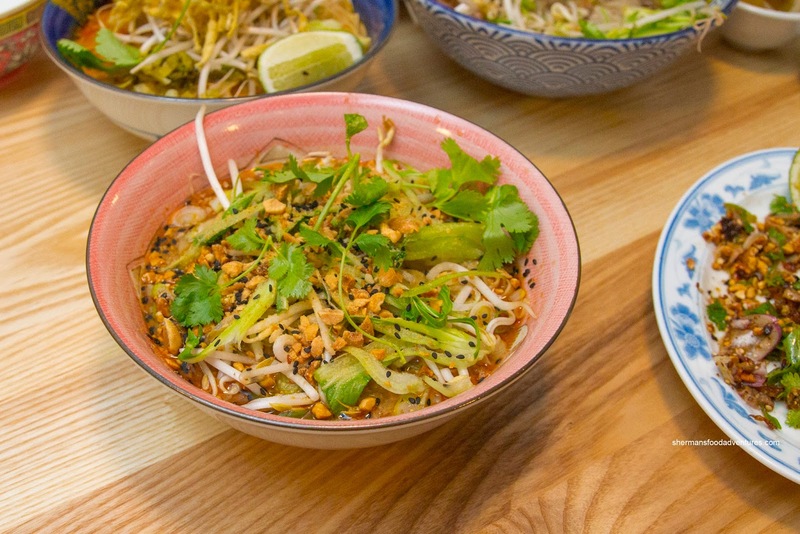 Located right next to the Ramen Butcher, Fat Mao offers up various noodles except for ramen (a good decision given its neighbour). We stopped by for a quick dinner before the Whitecaps match at BC Place with the kiddies. On that note, I encourage anyone who hasn't watched a football match (soccer that is), to give it a chance. Pretty good stuff. So back to the food, we started things off with the House-Made Pickles which included garlic stems, cucumber, onion and green mango. These were good with an appealing crunch that gave way to balanced flavours that weren't too salty nor sweet. Next up, the Tripe Salad was disturbingly small for the price ($8.00). The fact that we had to hunt for the slices of tripe didn't help matters either. Whatever it lacked in portion size, it made it up in execution. 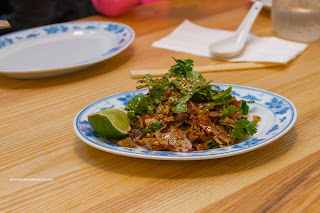 Dressed in a salty and sweet glaze with crushed peanuts, cilantro, fried shallots and onion, the sliced tripe was appealingly gelatinous. For our first main, we had the Dan Dan Noodles dressed in a spicy peanut broth with ground pork and peanuts. The first thing that struck me was the misuse of egg noodles in this dish. Texturally, it was too chewy and flat while not being able to take on any of the broth (everything just slid off). The broth itself was decently impactful with a balanced spice where the aroma of the peanuts were able to come through. 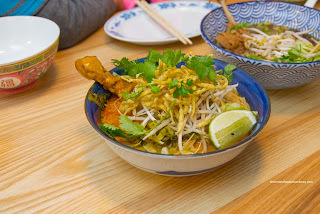 However, the Koh Soi, Changmai Curry Noodles with a whole chicken leg was not impactful at all. We could definitely get the aromatics of the coconut milk and the sharpness of the mustard greens, but other than that, the flavours fell flat. Even the tender chicken meat was completely flavourless. 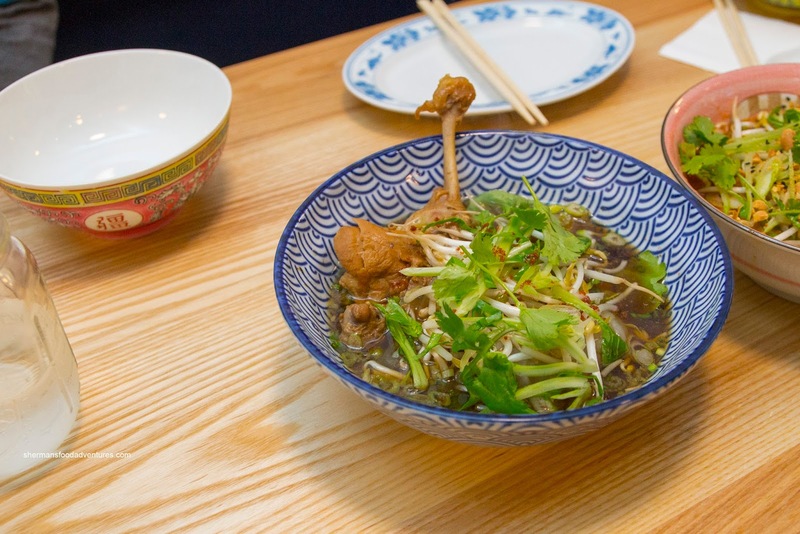 Lastly, we had the Braised Duck Noodles which featured a whole duck leg, flat mung bean noodles, sprouts and cilantro. This was by far the "best" noodle of the bunch (although that is not saying a lot). Aromatic with a silky duck essence, the broth was flavourful in a non-salty manner. Falling off the bone, the duck meat was tender and mildly seasoned with five spice. The flat noodles were a good match for the broth as it took on all the properties. 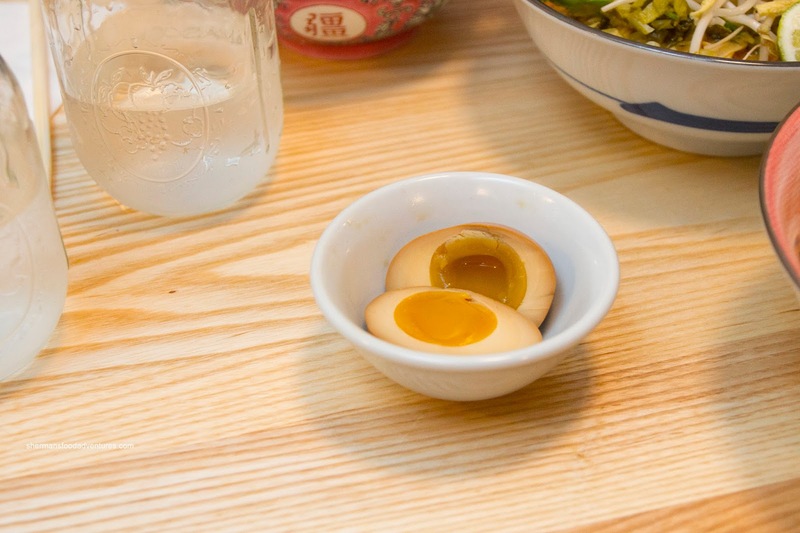 We added a Soft Boiled Soy Egg for good measure and it was good. 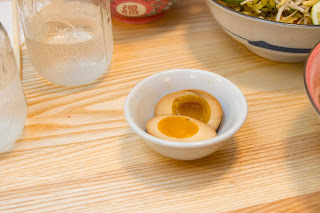 The creamy yolk was appealing while the egg white was completely flavoured by soy without being overwhelming. So as you can clearly see, the 2 best items were the aforementioned items. 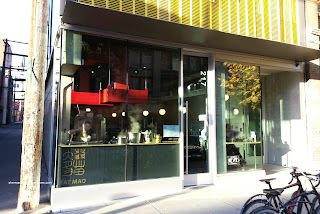 Otherwise, the overall experience at Fat Mao was incredibly underwhelming. It has potential, hopefully they can refine their product in the near future.